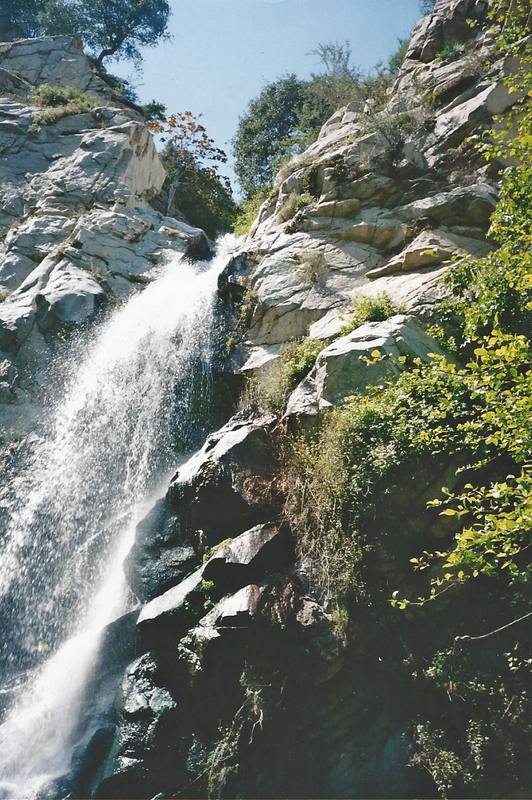 Sturtevant Falls is a very, and I mean very, popular hiking destination for Angelenos. We learned this the hard way a couple times (always on a weekend) when we were stuck for what seemed like an eternity behind a line of cars trying to find parking up at Chantry Flat. Oh, yeah, and you better have a Forest Adventure Pass displayed in your vehicle, or you'll get cited by the rangers. So, your best bet is to go early and go on a weekday. The hike to the 60' falls is a pleasant 3 mile round tripper, traversing a shaded trail past some quaint old recreational cabins (built somewhere between 1907-1936 and privately owned) and several stream crossings along Santa Anita Creek. 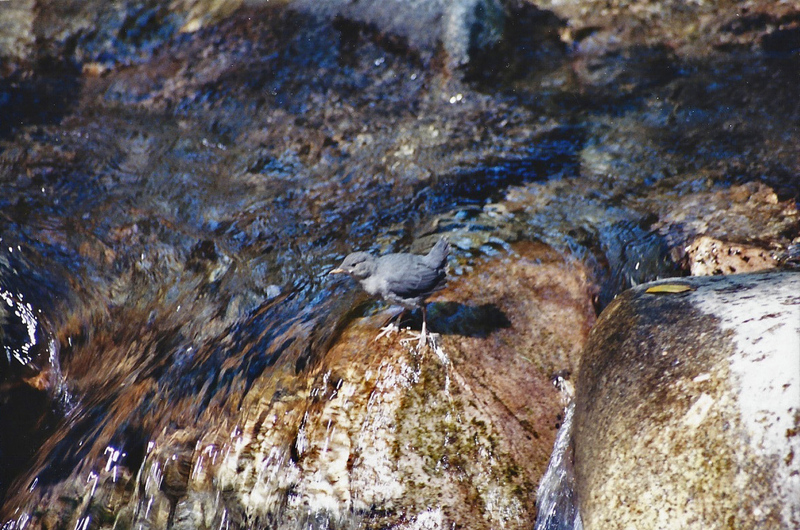 Sturtevant Falls is also a birding hot spot, as it's a nesting site for Black Swifts (Cypseloides niger). 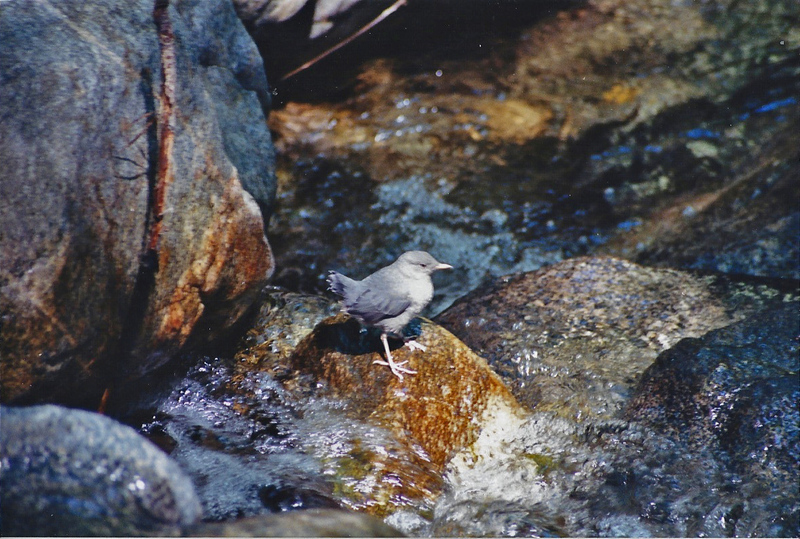 We've never seen the Black Swifts on our hikes there, but have seen American Dippers in the creek. 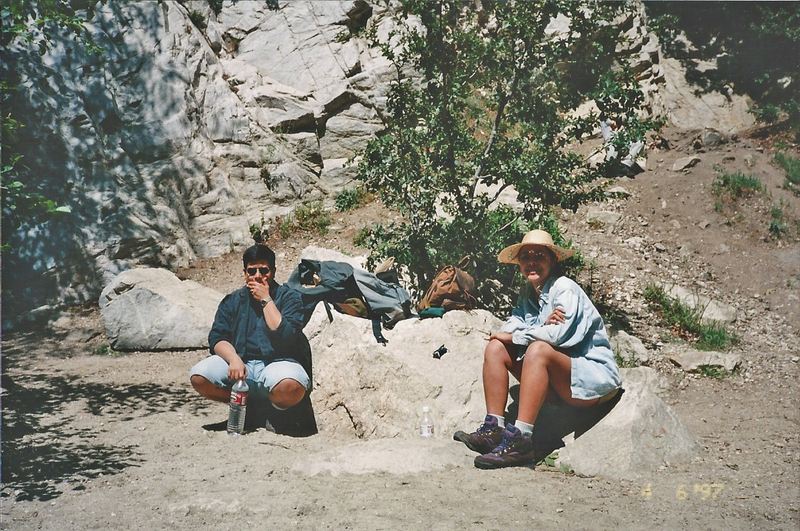 4/6/97 Elaine & Chuck, goofing off as usual. 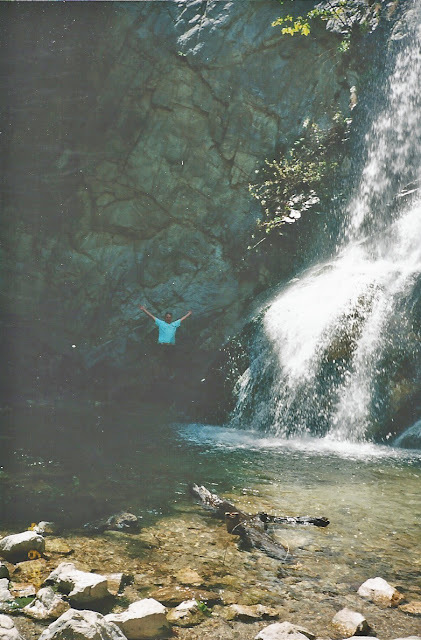 4/6/97 Chuck at the falls. 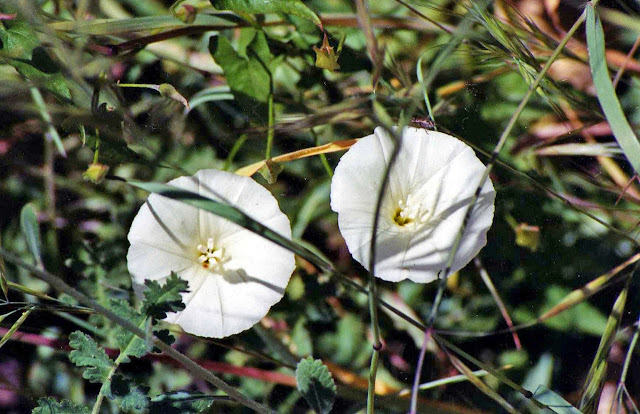 5/6/01 Bindweed (Calystegia macrostegia). Chantry Flat Fire Road. 5/6/01 Indian Paintbrush (Castilleja spp.). Gabrielino Trail to Sturtevant Falls. 4/6/97 Crimson Spot Rockrose (non-native). Chantry Flat parking area. 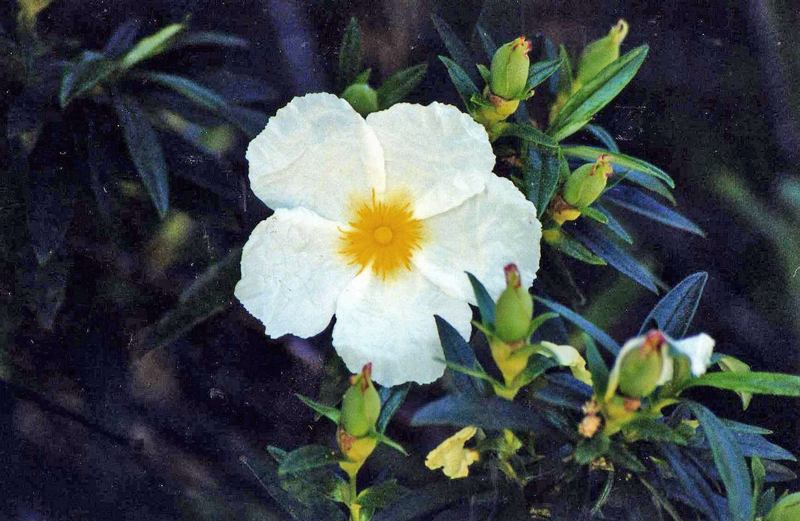 5/6/01 Rockrose (Cistus villosa). 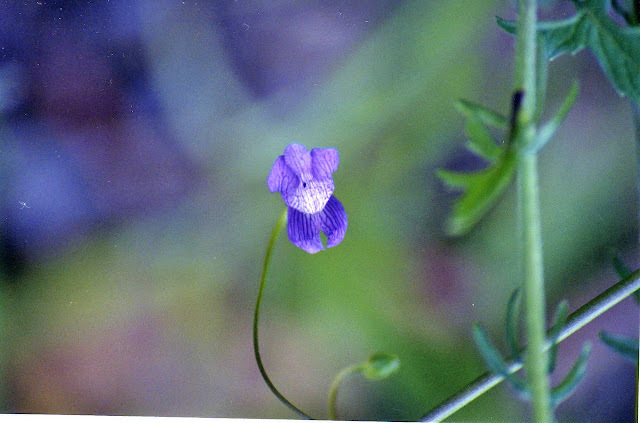 Non-native. Chantry Flat parking area. 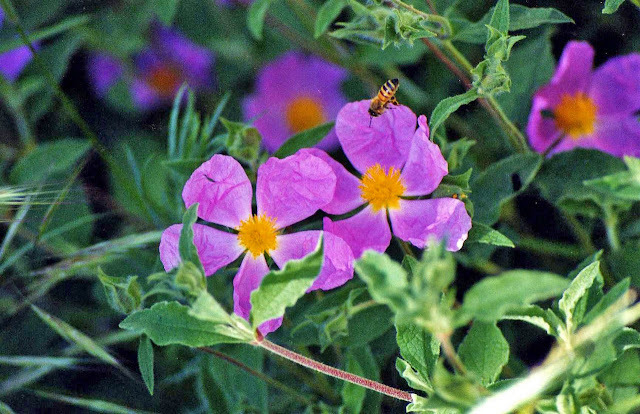 5/6/01 Rock Rose (non-native). Chantry Flat parking area. 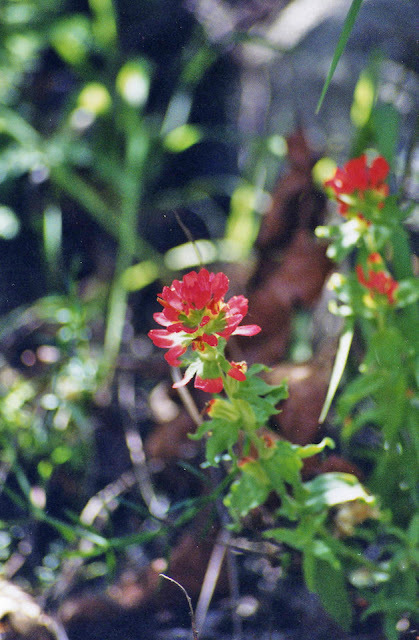 5/6/01 Twining Snapdragon (Antirrhinum kelloggii). Chantry Flat Fire Road. 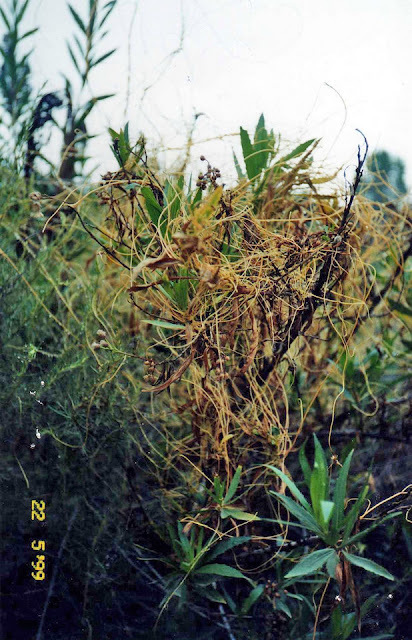 5/6/01 Parasitic Dodder or Witch's Hair (Cuscuta californica). Chantry Flat Fire Road. 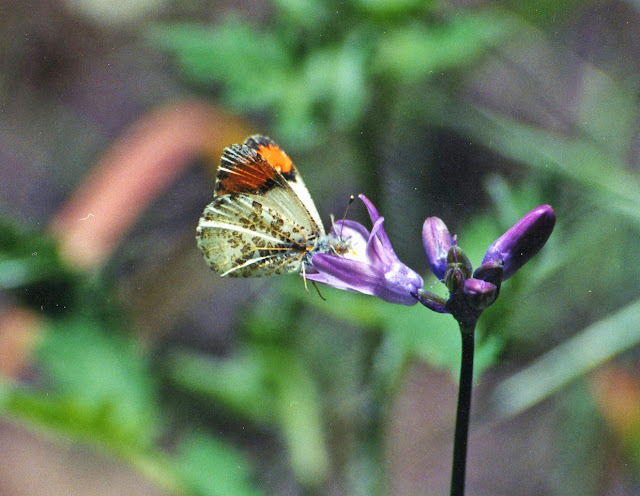 5/6/01 Sara Orangetip on Blue Dicks (Dichelostemma capitatum). 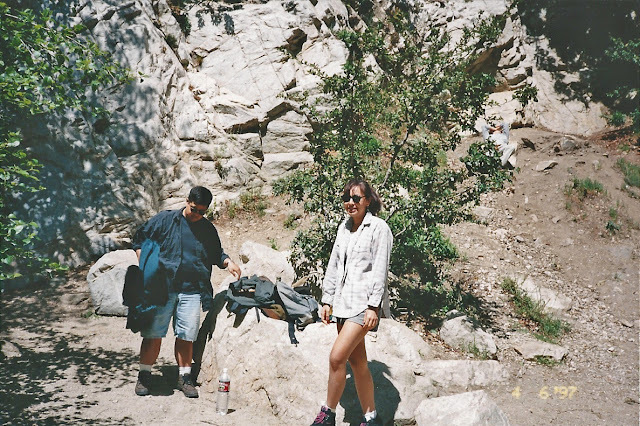 Gabrielino Trail to Sturtevant Falls. 5/6/01 American Dipper (Cinclus mexicanus). 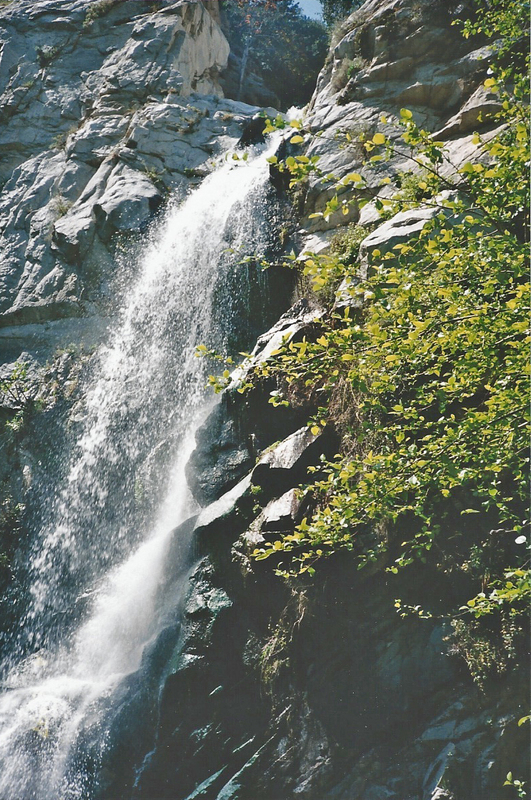 Gabrielino Trail to Sturtevant Falls. Directions: From the 210 Freeway, exit Santa Anita Avenue in Arcadia and head north. 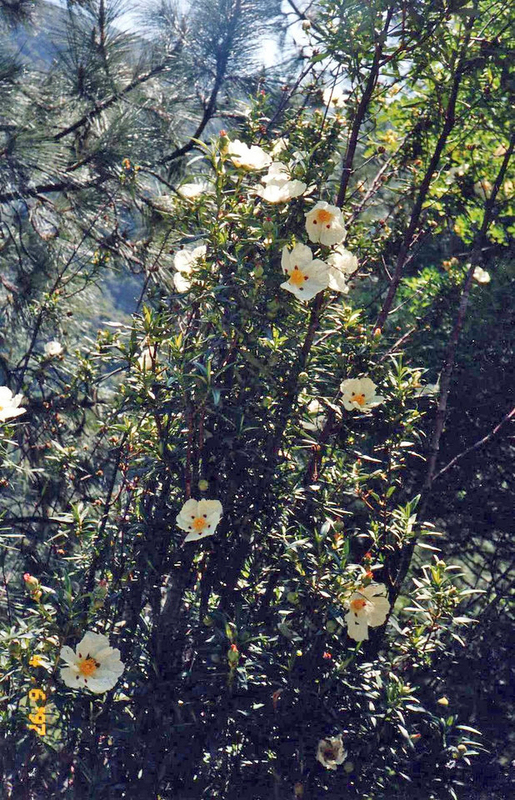 Drive all the way up the foothills to the road end and park in the parking lot at Chantry Flat. You must display a Forest Adventure Pass to park up here (you can buy these at REI or other sporting goods stores - I believe they may also be available at the nearby pack station). 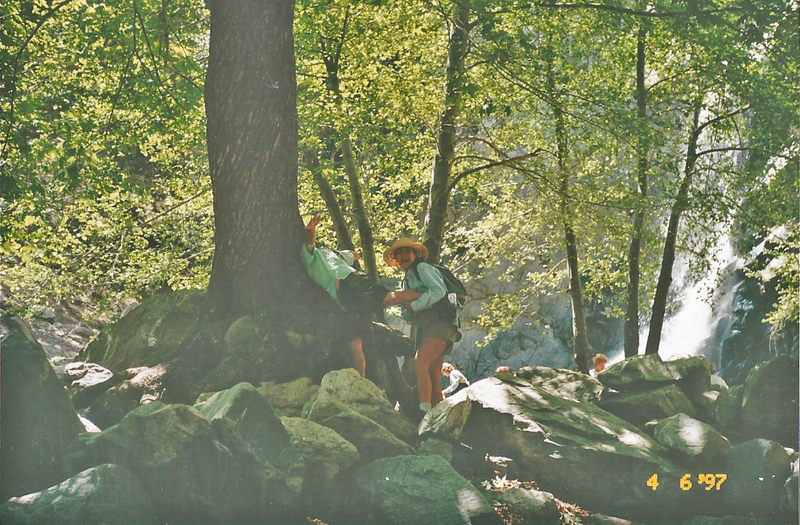 Trail: Walk down the paved Chantry Flat Fire Road to reach the trailhead. The fire road is unshaded and can be pretty hot in the summer (also, it's an uphill walk back to the parking area). The trail itself is dirt, well-marked and nicely shaded by alders, sycamores and oaks. Pets: Dogs are allowed on the trail. What a beautiful place. It's unfortunate when there are millions of people nearby such places are often loved to death. troutbirder, you are so right. The vicinity of this haven to the burbs is both a blessing and a curse, especially when you want to just trek out for some peace and quiet.